Most people find it difficult to determine if their dog or cat is drinking a normal or abnormal amount of water. It truly is difficult due to different behaviors exhibited by both species. Dogs make an absolute mess when it comes to anything to do with water. When they stand over a water bowl and drink, a lot of water falls out of their mouth on to the floor or the dog shakes its head with a mouthful of water. Cats are nocturnal animals and drink a lot of water while people are sleeping. They are also very coy about water. They walk up to a bowl and take a drink for a second then walk away. Not much water in one lap! Cats curl the outer surfaces of their tongues inward to prevent water from sliding off of it. This ensures that the full content of a lap is swallowed. The liquid form that we all drink every day. Metabolic water. This type of water is produced via the many biochemical processes in a mammal’s body. Chemical byproducts of metabolism produce water and other metabolites. Water contained in foods. This is pretty obvious. Canned dog or cat food has a moderate amount of water in it. That water makes the meal tastier and is also used for biochemical processes. Water turnover is the amount of water that any dog or cat (or human) needs daily for the body to function. Dogs and cats require about 50cc/kg of water daily. So that means that an average 10 pound cat needs about 250 cc of water which is equal to about a cup of water. An 80 pound Golden Retriever would require about 2 liters of water daily or about 8 cups of water. Pregnancy– When a female animal is pregnant she is obtaining nutrition to feed multiple individuals including herself. Pregnancy is an intense process that requires many additional nutritional requirements. More calories are needed but also more water. The amniotic fluid that holds the developing fetus in the amniotic sac is mostly water. That water has to come from somewhere! Hot Summer Weather- All dogs, cats and people drink more water in hot weather because we dehydrate quicker in those conditions. This increased thirst in dogs and cats is a normal physiological response to higher temperatures. The same thing happens when a dog or cat has a fever from a bacterial or viral infection. Hyperthermia- This condition is also known as heat stroke. Hyperthermia differs from fever in that the latter, body temperature elevation is due to an infectious agent. The former is caused by excessive environmental temperature or humidity. 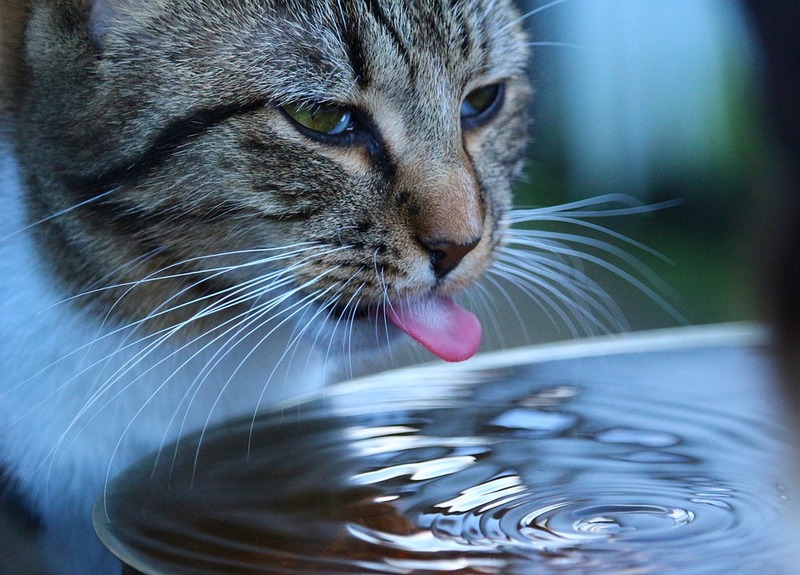 Both conditions cause an increased thirst in dogs and cats. Diarrhea- This problem most commonly leads to dehydration in the young and the old. Due to fluid loss in the stool water demands are elevated. After Exercise- Dogs are going to require a lot more water after heavy exercise outside. Exercise generates a lot of body heat and increases the need for more water to prevent dehydration. Side Effects of Drugs- An increased thirst in dogs and cats is also seen with commonly used prescription drugs. Diuretics such as Lasix® and corticosteroids such as prednisone cause an increase in water consumption as side effects of their pharmacological actions. There are a handful of internal medical diseases that cause an increased thirst in dogs and cats. Many of them are due to disease processes in the glandular organs such as the pancreas and thyroid gland. Glandular organs secrete hormones and those individual hormones act to control blood sugar (insulin and glucagon) and calcium levels (calcitonin & parathyroid hormone) as examples. Diabetes mellitus- This is probably the most commonly seen disease that causes an increased thirst in dogs and cats. It is caused by a deficient production of insulin (Type 1- Insulin Dependent) in the pancreas or an inability of insulin to enter the cell usually caused by obesity (Type 2- Non-Insulin Dependent). The only function of insulin is to transport glucose (sugar) into a cell. That’s it! Diabetes insipidus- Although not as common as the insulin issue, this disease also leads to an increased thirst in dogs and cats but is caused by a different problem. The hypothalamus (in the brain) stops producing antidiuretic hormone (ADH) that absorbs water from the kidneys. Excessive water loss via the urine leads to increased water consumption. In humans this hormone is temporarily suppressed while drinking alcohol. That is why humans urinate more after alcohol consumption. It will also dehydrate you faster too! Chronic Renal (Kidney) Disease- When the architecture of the kidney is destroyed or obliterated by disease processes, very little functioning tissue remains. The kidney regulates water and electrolyte levels by producing a concentrated or dilute urine. In this case urine is produced that has the same concentration as water (specific gravity: 1.000)! The animal dehydrates rapidly and increased thirst is the response. Canine Cushing’s Syndrome- This condition is caused by an excessive production of the body’s own type of cortisone (cortisol). This is caused by a pituitary tumor in most cases. Just like taking prednisone for an allergy, one of the symptoms of this disease is often an increased thirst. 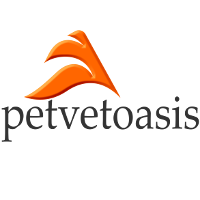 Hyperthyroidism- In small animal medicine this condition is seen exclusively in older cats. It is caused by an increase in the production of thyroid hormone (T4). Thyroid hormone excess revs up the body’s metabolism in a myriad of ways including an increase in thirst and urination in affected cats. Liver Diseases- Many liver diseases cause an increased thirst in dogs and cats. The liver is the body’s main factory. When things are not working well in that factory toxic elements are produced that need to be flushed out of the organ. This leads to increased thirst plus accumulation of water/fluids in the abdomen (ascites). WHAT SHOULD YOU DO IF YOU NOTICE ANY INCREASE IN THIRST? The obvious answer here is to consult a veterinary professional. However, someone has to recognize that something is wrong to begin with! What are the subtle signs that something is really wrong? We are talking mainly about internal medical problems mentioned earlier. The most common thing noticed in dogs and cats is that the water bowls are constantly empty. You notice that you are filling them up more frequently when compared to several months prior. This can get tricky when there are multiple pets or species in the household. You can isolate the suspect dog or cat with its own water bowl and observe fluid intake increases or look for other signs of disease such as weight loss or an increase or decrease in an animal’s appetite. Many diseases that cause an increased thirst in dogs and cats also cause an increase in the volume of urine and an increase in the frequency to urinate. Dogs will often urinate accidentally on linoleum. It may dry and you step in the area. It is often sticky. Bells and whistles should go off! Undiagnosed or poorly managed diabetics pass bucket loads of sugar in the urine and sugar is sticky! Cats will literally flood their litter boxes with urine. If you recognize any of these signs it warrants an immediate trip to a veterinarian. All dogs and cats will require a physical exam and appropriate blood work plus a urinalysis to get any one of these conditions diagnosed and treated. Most veterinarians will ask you to measure the amount of water that you put into the pet’s water bowl each day and how much is left at the end of the day. This method is not perfect but will give the doctor an idea if the animal is drinking too much water or not. Antibiotic Use In Pets- A True Lifesaver!